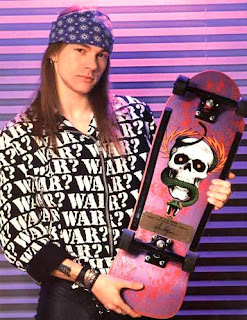 The FBI has arrested someone for leaking the perpetually postponed Guns-N-Roses debacle 'Chinese Democracy'. Personally, I feel that the arrest was justified, not for the posting of the songs, but for still being interested in this so called album. Either way, it shows that Axl IS actually working on songs and that he might, at some point, stop disappointing the CD buying public, and go back to disappointing the concert going public. On the other hand, he may have just arrested his only remaining fan. Click HERE for the official story.